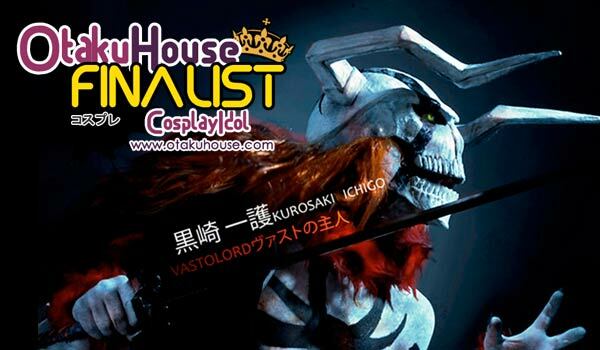 South American Finalist Ricardo Ishikawa’s Vasto Lordes cosplay in the Qualifiers is just the beginning of his Bleach cosplay collection. 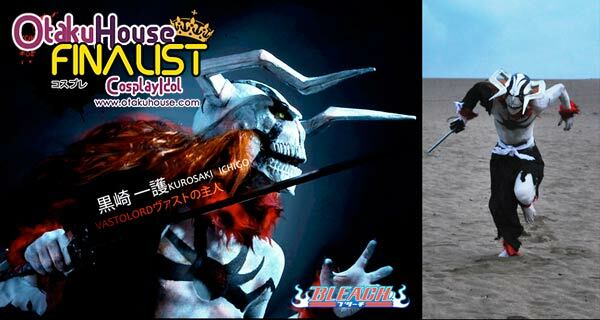 Check out his other Bleach cosplays below! 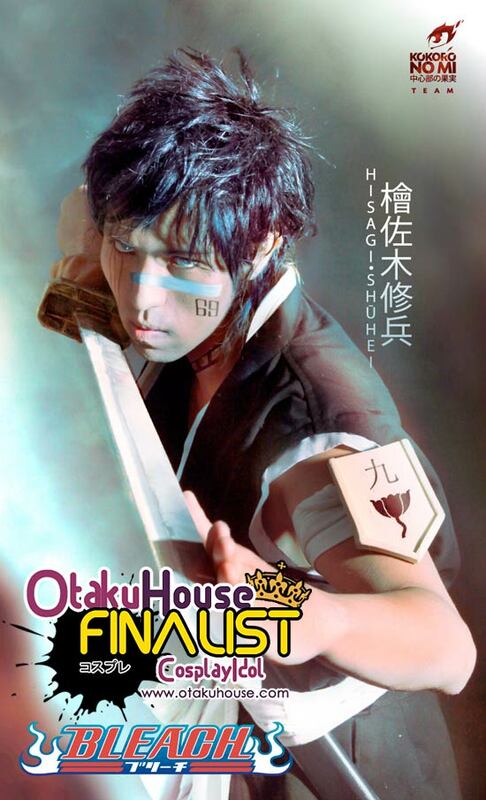 I used a shinigami outfit and accessories like the lieutenant band that was made of wood. Besides, the “warajis” (sandals shiginami) did with the halter, and a short black wig. Although Vastolorde appeared once, his appearance was momentous in history, so I decided to make this cosplay mainly focusing on the helmet, as most things were makeup. I started using cardboard with paper mache and then it covered with cold ceramic. I worry about giving mobility to the jaw which made ​​it shrink. To give a dark and realistic, I gave black splashes of color. His clothes were torn shinigami suit, plus wrist and ankle red plush. Then an orange wig and to finish a white and black body make-up, contact lenses and ceramic nails. Finally one of the story arcs of Bleach I decided this cosplay, so I made this using a sort of armor based on the “manga” that was made with a black t-shirt and clung on this paper mache, covering it with cold ceramic and finally painted blue and black but between the joints of the armor for a touch of shade. Then the mask was the same with paper mache and cold ceramic. I used a black wig and red contact lenses. 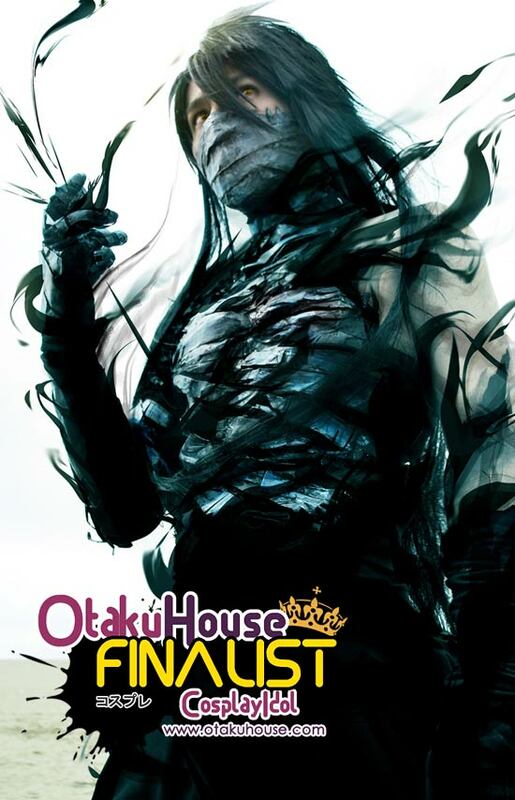 chigo’s transformation called Mugetsu occurred when he was fighting with Aizen and in the end of the battle this transformation occurred from his zampakutoh, it appears with blue bands covering his face begin to crack and peel off. 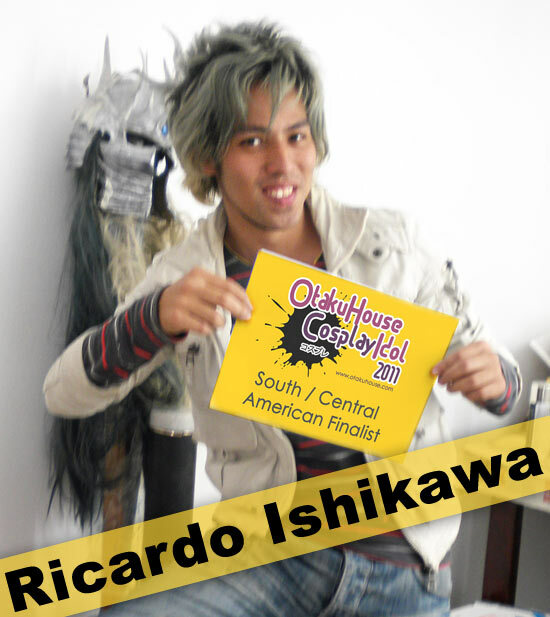 Ricardo Ishikawa from Peru’s breathtaking cosplays from Bleach is truly impressive. If you like his transformations from human to shinogami, support him at the top of the page by clicking ‘like’ or ‘Google +1’!